SN Nuclearelectrica SA has developed and maintains an Overall Quality Management System that complies with the provisions in force of law 111/1996 and with the applicable Quality Management Requirements in the nuclear field issued by the National Commission for Nuclear Activities Control (CNCAN) and the IAEA GS-R-3 Standard. SNN’s headquarters Management System is authorized by the National Commission for Nuclear Activities Control (CNCAN) to perform management activities in the nuclear field. The authorization was renewed in 2013 (Authorization No. SNN EX- 01/2013). The Quality Management System applied by SNN SA, described in the Manual of Quality Management System, identifies the directions of developing and implementing the management system within SNN Executive and its branches: the Cernavoda NPP and the Nuclear Fuel Plant-Pitesti. The development and evaluation of the Management System (MS) is coordinated by the Department for the Development and Evaluation of the Management Systems (DDESM). 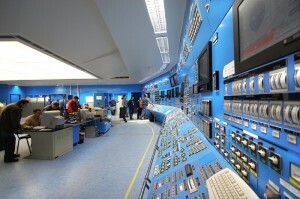 The branches Cernavoda NPP and FCN Pitesti have developed and maintain management systems specific to their activities. Cernavoda NPP subsidiary has developed and implemented an Integrated Management System which complies with the provisions in force of Law 111/1996 and with CNCAN’s Management System Requirements, with IAEA’s GS-R-3 Standard and with the international standards ISO 14001:2004, OHSAS 18001:2008 and ISO 27001:2005. The Cernavoda NPP’s management system is authorized by CNCAN in compliance with the provisions of law 111/1996 for operation, design, supply, repair and maintenance works in the nuclear field as per the Authorization for the quality management system no. SNN CNE Cernavoda – 01/2015. The requirements of the ISO 14001:2004 standard (for the Environment Management System) and of SR OHSAS 18001:2008 standard (for the Occupational Safety and Health Management System) are included in the documents of the Cenavoda NPP’s Integrated Management System, while the compliance with these requirements is recertified by the certification authority – SRAC in 2013. Also, the requirements of the ISO 27001/2008 standard for the Management System of the Security of Information are included in the documents of the Integrated Management System of Cernavoda NPP, the compliance with these requirements being recertified by the certification authority DNV at the end of 2014. In the year 2015, SRAC and DNV performed surveillance audits that confirmed the requirements of the standards ISO 14001:2004, SR OHSAS 18001:2007 namely ISO 27001:2008 are accordingly implemented, the certificates being maintained. The above-mentioned issues are sustained by the remarkable results obtained in operating Cernavodă Units 1 and 2 during the year 2015. FCN Pitesti has developed and implemented an Integrated Management System that complies with the provisions of law 111/1996 and CNCAN’s Management Requirements also integrating the requirements of the Canadian standard CAN 3-Z299.2-8. The structure of the Quality Management System is authorized by CNCAN through the Authorization number 14-038 for manufacturing in the nuclear field, as per class 2 application of the quality management system. The component “Environment Management System” developed in accordance with the requirements of ISO 14001:2004 standards was certified by SRAC in 2013. The component “Occupational Health and Safety Management System” (SMSSO) was certified by SRAC in 2013. The component of the Integrated Management System for Health and Occupational Security, developed according to the standard OHSAS 18001:2007, was certified by SRAC Cert in 2013. In 2015 SRAC performed a surveillance audit that confirmed that FCN Pitesti subsidiary accordingly implemented the requirements of the two standards, the certificates being maintained. Besides, other components of the Integrated Management System are developed and implemented as well (for example Physical Protection, Radiological Safety, Nuclear warranties, etc.). The development and implementation of the components of FCN Integrated Management System decisively contributed to the nuclear fuel quality proved by a very good combustion degree and zero failure rate.